Professional bodybuilder “Mr. 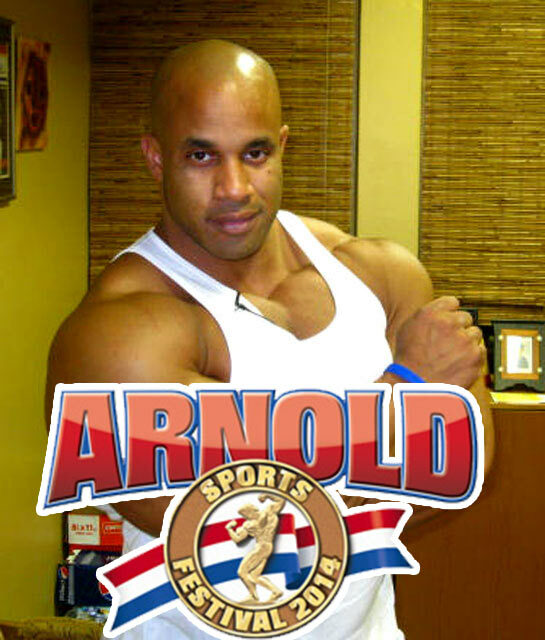 Olympia” Victor Martinez, a committee member of the Cristian Rivera Foundation, announced that his upcoming appearance at the Arnold Sports Festival will be dedicated to Cristian Rivera, as well as the foundation that shares his name. Martinez knew Cristian before he passed away from pediatric brain stem tumor in 2009 and visited him in the hospital during his final days. “It was heartbreaking to see Cristian in his last moments,” said Martinez, “but I was happy to be there for his father, John ‘Gungie’ Rivera, during his toughest times.” Martinez will compete in the bodybuilding portion of the Arnold Sports Festival on Saturday March 1 in Columbus, Ohio. The multi-disciplinary event lasts from Friday February 28 through Sunday March 2 and features a variety of sporting events, including boxing, mixed martial arts and hockey, to name a few. “The Cristian Rivera Foundation has come a long way and I know that often you start something and it eventually fades away, so this is my way to shine a light again on this great cause,” said Martinez. The Society of the Educational Arts (SEA) is hosting the 8th Annual BORIMIX: Puerto Rico Fest, a celebration of Puerto Rican heritage, arts and culture. The free event kicks off with the 2013 Buildinguai Arts Celebration on Thursday November 14 at The Clemente on 107 Suffolk Street in Manhattan. That night, BORIMIX will debut two art exhibits—Posters on the Wall: Our Nuyorican Story, which illustrates the rich and diverse work of Puerto Rican artists, and Mural Grooves, which includes five indoor murals that commemorates the life and work of Puerto Rican music composer Rafael Hernández—as well as feature musical performances from Nico y su Combo, Sery Colón and Afro Brazil Arts. 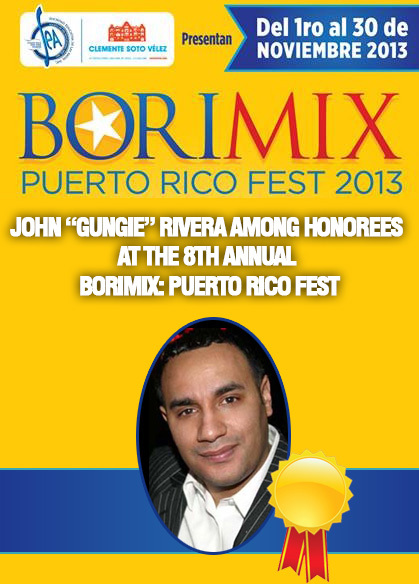 The night will also include the BORIMIX Awards Ceremony, which spotlights leaders in the Puerto Rican community. Included among this year’s recipients is John ”Gungie“ Rivera, who is accepting the award for his amazing and inspiring with the Cristian Rivera Foundation, a 501(c)(3) charitable organization that has raised more than $400,000 to help fund research into curing a rare pediatric brainstem tumor called DIPG. Cristian Rivera Foundation founder John “Gungie” Rivera recently paid a visit to personally give Dr. Mark Souweidane a check for the $100,000 pledged to his research at the Fifth Annual Cristian Rivera Foundation Celebrity Gala. The Cristian Rivera Foundation has been one of Dr. Souweidane’s main supporters and donations from the foundation have been instrumental in getting his groundbreaking clinical trial off the ground. 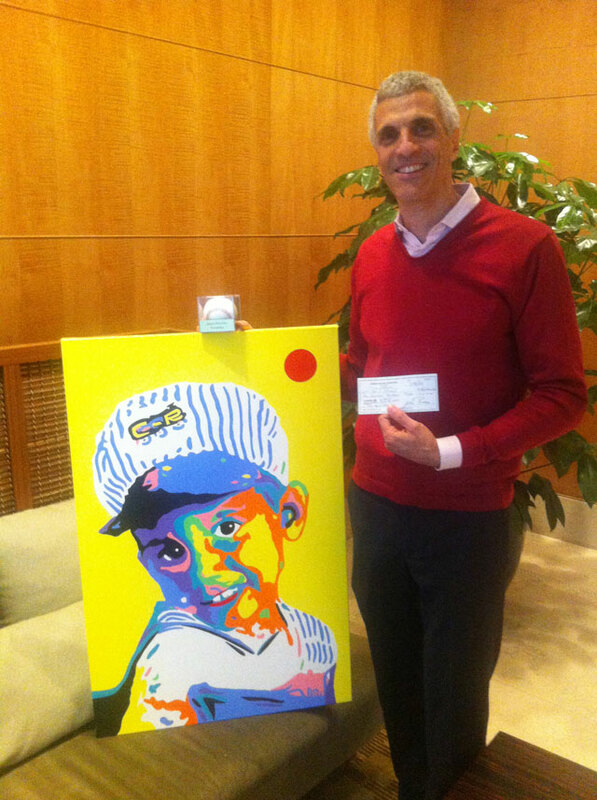 Dr. Souweidane was happy to accept not only the donation check but also two surprise gifts from the Fifth Annual Cristian Rivera Foundation Celebrity Gala—an Andy Pettite-autographed baseball, for which John “Gungie” Rivera outbid him by $50, and a painting of Cristian, painted live at the Gala by Japanese artist Pisu, for which Cristian Rivera Foundation Committee Member Andy Epstein outbid him by $100. Pisu has done live paintings at the Gala every year since the Third Annual Gala. The Cristian Rivera Foundation is proud to give Dr. Souweidane all of these things to show our support as he continues his work toward a cure for DIPG. 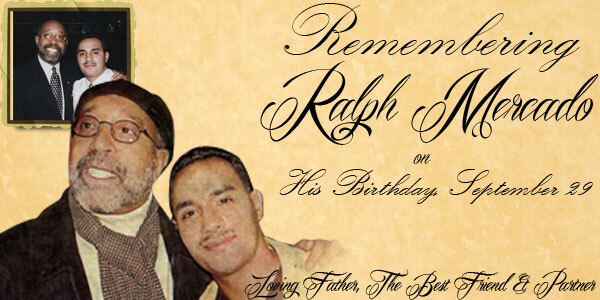 September 29 is always a tough day for me because it’s the birthday of my friend and partner Ralph Mercado. Ralph was diagnosed with a brain tumor just weeks before my son Cristian, and he and Cristian passed away from their respective brain tumors a few weeks apart as well. Ironically, Ralph’s birthday on September 29 is also just a few weeks after Cristian’s birthday on September 13. So three times each year, I’m hit especially hard as I remember two important people who left my life too soon: on their birthdays, the anniversaries of their diagnosis and the anniversaries of their passing. I try to focus on the fond memories I shared with Ralph. Usually around his birthday, Ralph and I would have a concert at the Hollywood Bowl. We would always celebrate his birthday on the last Saturday of September in Los Angeles. Ralph was such a pioneer in the Tropical Music industry and he is someone who started so many careers for artists and executives alike. He was one of my idols. He was a mentor, a partner, a father figure and a friend. How ironic that I lost Ralph and my son to brain tumors. I can’t wait for the day when brain tumors are a thing of the past. 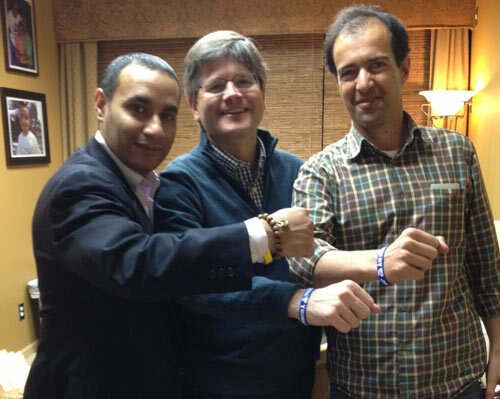 DIPG Dad Juan Manuel Viu flew to the U.S. from Spain once again to meet with fellow DIPG Dad, John “Gungie” Rivera at The Cristian Rivera Foundation offices in New York last night. Dr. Jaume Mora, of Spain’s Hospital Sant Joan de Deu flew into Boston earlier in the week to speak with Dr. Mark Kieran of the Boston Children’s Hospital and Dana Farber Cancer Institute. The next stop on his trip included a meeting in New York with Dr. Mark Souweidane of Wiell Cornell and Memorial Sloan-Kettering Cancer Center. After speaking with both doctors about recent advancement in DIPG research plans, Dr. Mora met with John “Gungie” Rivera and Juan Manuel Viu at the CRF offices. 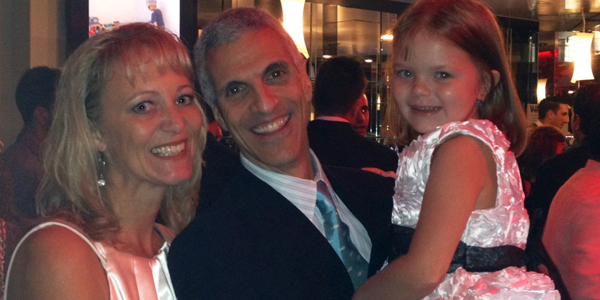 From there, they enjoyed dinner at Babalu Restaurant in the Bronx to discuss upcoming collaboration to cure DIPG. 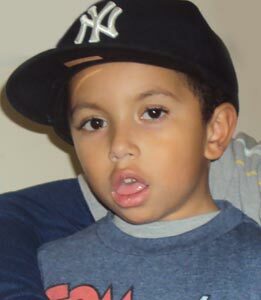 On January 25, 2009, the world lost a smart, brave and all-around remarkable 6-year-old boy named Cristian Rivera as his two-year battle with DIPG came to an end. Three years later, we remember Cristian on the anniversary of the day he earned his wings and went to Heaven. 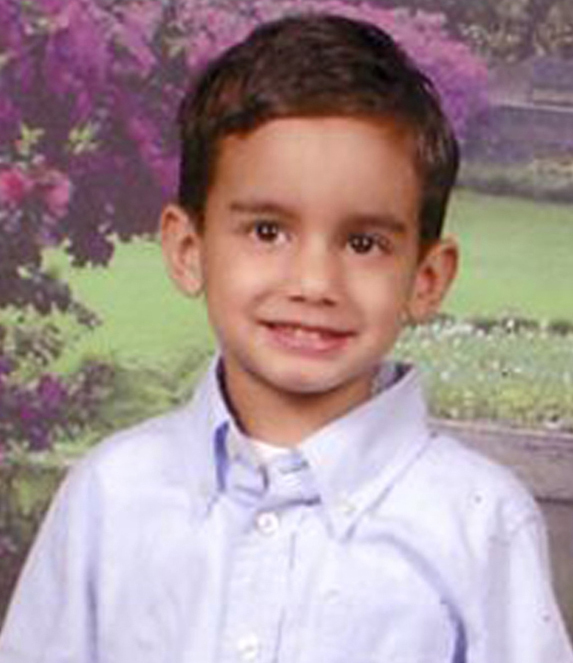 Cristian is loved and missed dearly by his father John “Gungie” Rivera, his mother Jenelle Asencio, his big brother JC, his sister Brittnee Hudson, the rest of his friends and family and everyone at The Cristian Rivera Foundation. Throughout his illness, Cristian remained positive and never let the cancer get the best of him. Though his life was cut tragically short, Cristian made an everlasting impression with his affection, loyalty and good sense of humor. His legacy will never be forgotten as we work tirelessly in his name to find a cure for the disease that took his young life. With great sadness, the Cristian Rivera Foundation announced that Heaven gained another DIPG Angel on Thursday November 17. Jordan Malave passed away at 6:30 on Thursday morning, bringing to an end his three-year battle with DIPG. He fought for an exceptionally long time and showed incredible bravery and strength in the face of this terrible disease. Cristian Rivera Foundation founder John “Gungie” Rivera had become close to Jordan and his parents, Leeana Castro and Jayson Malave, and even saw Jordan after his kindergarten graduation this past June. Jordan reminded John very much of Cristian, and watching him suffer was like living through Cristian’s illness all over again. John and the entire Cristian Rivera Foundation extend their sincerest condolences to Jordan’s family as they are once again reminded how horrible DIPG is and why it needs to be cured within our lifetime. Cristian Rivera Foundation © 2009. All Rights Reserved.